Sunday, March 25th: Holy Eucharist Rite II at 8 a.m. and during our 10:30 a.m. Holy Eucharist we will gather together to celebrate Palm Sunday and conclude with a reading from the Gospels recounting the Passion of Christ as we begin our observance of Holy Week. Tuesday, March 27th: 2018 Renewal of Vows and Blessing of Oils. At 10 a.m., a combined observance of the Episcopal Diocese of Pittsburgh and Southwestern Pennsylvania Synod, ELCA, will gather for a Chrism Mass. The Rt. Rev. Dorsey W.M. McConnell, Bishop of the Episcopal Diocese of Pittsburgh will be presiding and The Rev. Kurt F. Kusserow, Bishop of the Southwestern Pennsylvania Synod, ELCA, will be preaching. Clergy members are invited to vest (red) and process. Luncheon will follow the service. Suggested donation is $10 at the door. Requested oils will be available following the service. Friday, March 30: Noon-day Good Friday service with The Rt. Rev. Dorsey McConnell, Bishop of the Episcopal Diocese of Pittsburgh, presiding. 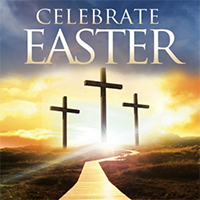 Saturday, March 31: Join us for an Easter Vigil Service, celebrated at First English Evangelical Lutheran Church, 615 Grant Street, at 7 p.m.
Sunday, April 1: Easter Sunday services Holy Eucharist Rite II at 8 a.m. and Easter Festival Eucharist at 10:30 a.m. with The Rt. Rev. Dorsey McConnell, Bishop of the Episcopal Diocese of Pittsburgh, presiding.